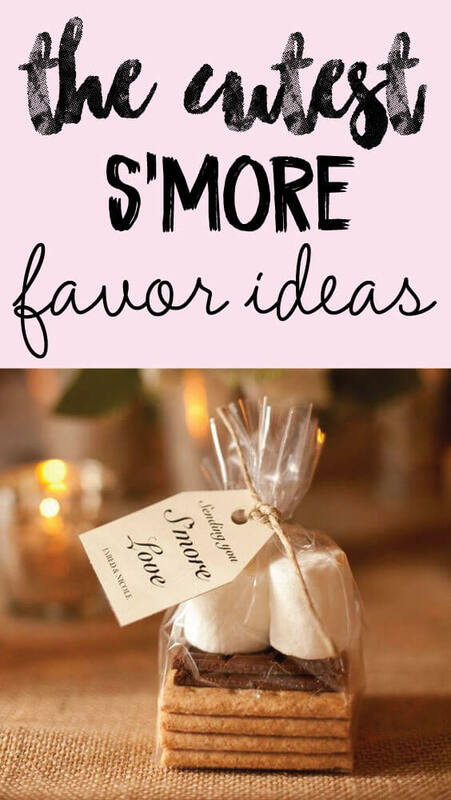 S'mores Favor Ideas: Awww S'mores! They are so delicious and I could eat them everyday of my life. But it's not just me, the s'mores explosion has been spreading all over the party scene! Below are the latest, greatest and yummiest s'mores favor and recipe ideas for your next big bash! The most common (pictured above) is to make a s'mores package for 2: take 4 graham cracker halves, 2 pieces of chocolate and 2 marshmallows and bundle them up in a clear bag. tie a cute favor tag on and you're all set! This S'mores Snack Mix is the perfect concoction for bundling up and giving away as favors. The recipe is simple and you can substitute or add any other ingredients that sound good to you. Keep reading for more fun s'mores favor ideas. 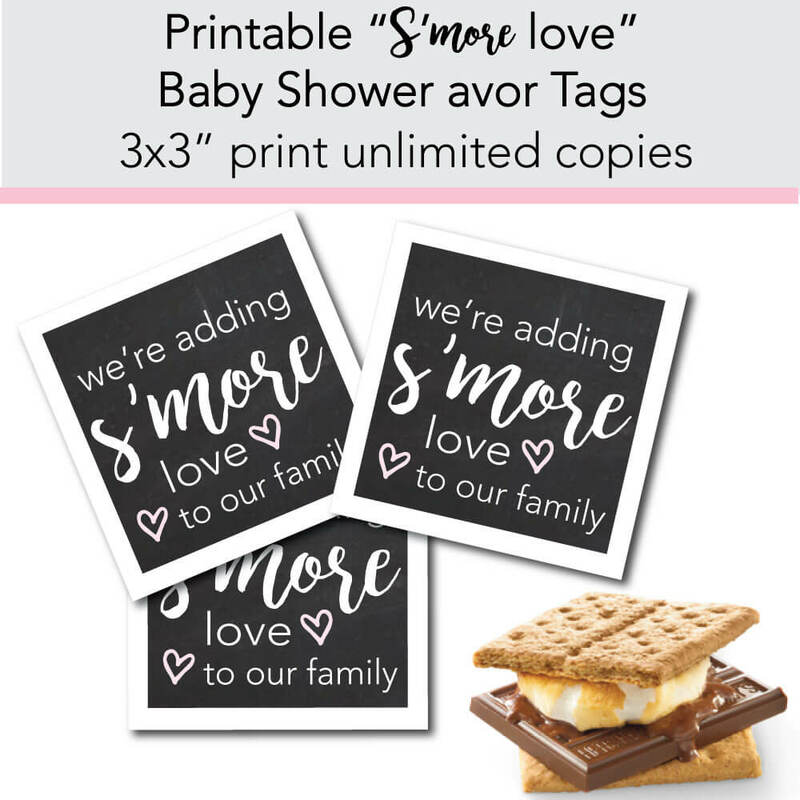 Tie on a S'more's favor tag to your favors for the perfect baby shower party favors! I made these printable, chalkboard "s'mores favor tags" for you and they are now available in the shop. the best s'mores dip - yum! This s'mores dip really isn't a baby shower favor idea, but it is so good that I had to share! Our family loves this dip! And the best thing is, my husband is the one who makes it for us! He makes it for parties and summer BBQ's and it is just so delicious - it is always devoured within 15 minutes of being placed on the table! Using a 9" cake pan, unwrap and place the Reese's Peanut Butter Cups in a single layer. Sprinkle the marshmallows on top. Bake the dip for 8 to 10 minutes until the marshmallows are golden and toasted. Break the graham crackers into quarters and use for dipping. They also have new graham cracker sticks that you can buy - which would make dipping even easier. Enjoy! 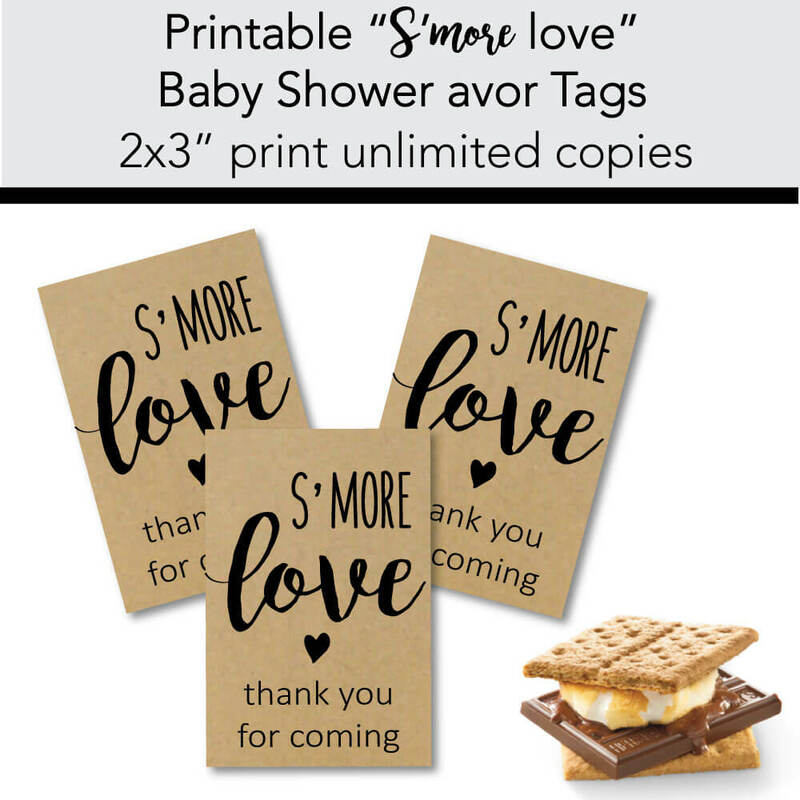 More fun s'mores favor tags for you to choose from.